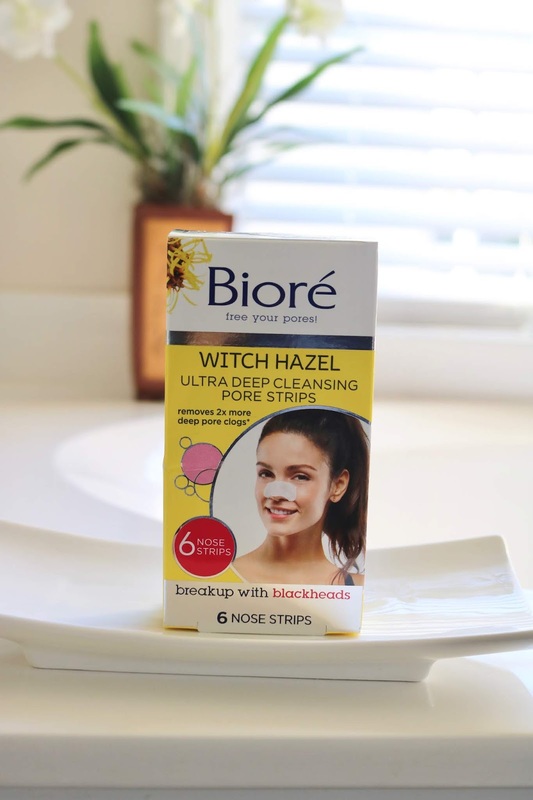 It´s actually quite simple to get rid of those blackheads: just use the BIORÉ® WITCH HAZEL ULTRA DEEP CLEANSING PORE STRIPS! Working like a super-magnet, they lift out even the most stubborn blackheads and deep down dirt & oil that can lead to complexion problems. These strips are formulated with Witch Hazel, known to tighten pores & for its astringent properties, these strips deep clean, remove blackheads, refine pores, and help prevent future breakouts. 1. After washing your face, thoroughly wet your nose (the strip won't stick on a dry nose) and apply the strip to nose area, smooth side down, pressing down to ensure good contact with skin. 2. Let dry for about 10 - 15 minutes, until stiff to the touch! 3. Slowly and carefully peel off, starting at edges, pulling toward center. I totally recommend doing this at least once a week. Not everything will come out at your first try- but if you are consistent and keep using the strips regularly, you can control the blackheads- without playing around with your delicate skin (I know I am guilty of doing this!). 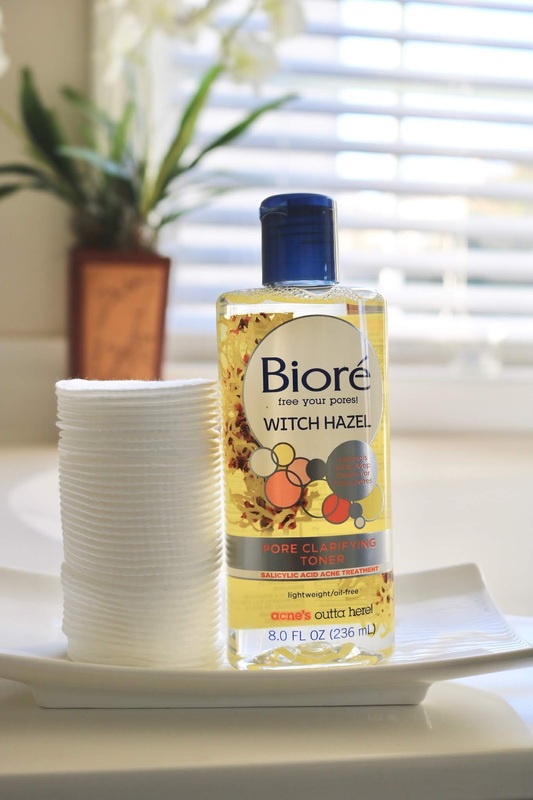 After that I like to use the BIORÉ® WITCH HAZEL PORE CLARIFYING TONER. This lightweight toner with witch hazel and salicylic acid helps restore skin’s balance as it deep cleans and removes residue a cleanser might have missed. 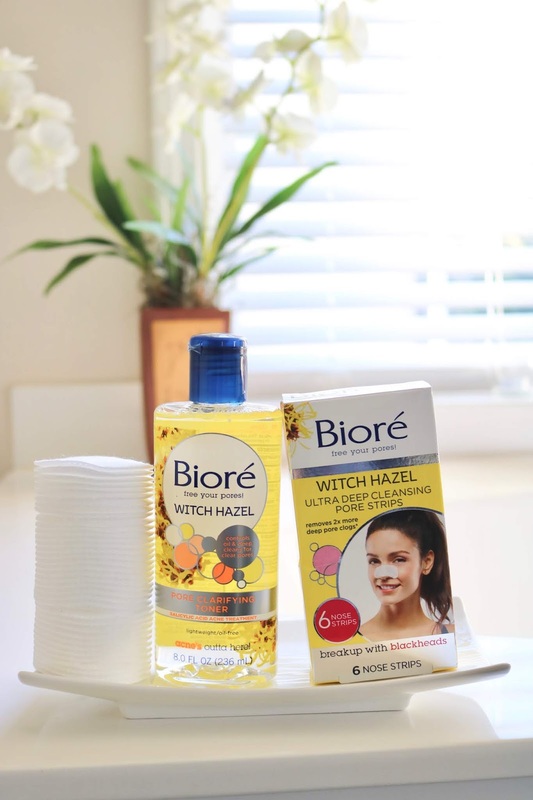 Witch Hazel is known to tighten pores, while salicylic acid controls oil and treats blemishes. This toner feels deep cleansing and super refreshing! 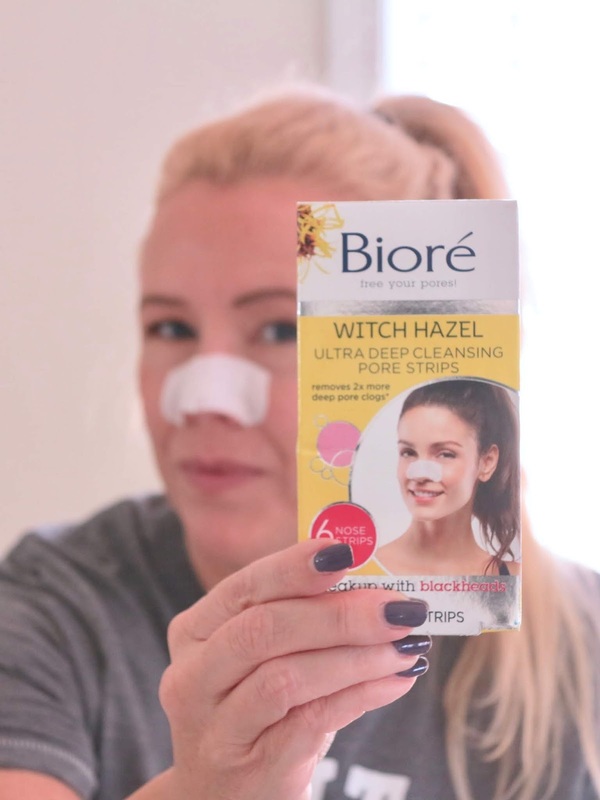 Have you ever tried the Bioré pore strips? Disclaimer: Thank you Bioré for sponsoring this post. I only recommend products or services I use personally and believe will be good for my readers. Read my full disclosure.